Do you know why the big game is known as the Desperation Bowl in the Problem Gambling community? It’s the last chance gamblers have to recoup any money lost throughout the regular season. That means many will wager just to try and break even. Combine this urge to chase losses – a sign of problem gambling – with the monumental media coverage, social happenings, and increased pressures to bet, and it’s easy to see why this is one of the most trying times of year for those who are suffering from Gambling Disorder. Florida’s 24/7, Confidential, and Multilingual Problem Gambling HelpLine will be available before, during, and after the big game. 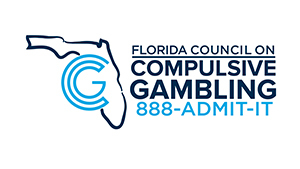 If you think gambling has become a problem for yourself or someone you know, call 888-ADMIT-IT (236-4848). All services are free to Florida residents, including treatment. 1 Ginsbach, Jay. “Opening Super Bowl LIII Odds: Avalanche Of Bets On Patriots Gives Line A Jolt.” Forbes, Forbes, 21 Jan. 2019, 10:41 p.m., www.forbes.com/sites/jayginsbach/2019/01/21/opening-2019-super-bowl-llll-odds-and-record-betting-expected/#389c77347ecd. 2 Barrabi, Thomas. “Super Bowl Betting Total to Top $4.7B, with 97% Bet Illegally.” Fox Business, Fox Business, 11 Feb. 2018, www.foxbusiness.com/features/super-bowl-betting-total-to-top-4-7b-with-97-bet-illegally. 3 Rodenberg, Ryan. “State-by-State Sports Betting Bill Tracker.” ESPN, ESPN Internet Ventures, 26 Nov. 2018, www.espn.com/chalk/story/_/id/19740480/gambling-sports-betting-bill-tracker-all-50-states. 4 Tuley, Dave. “Legal Super Bowl Betting Could Double to More than $300 Million with Additional States on Board, According to VSiN Projections.” Vegas Stats & Information Network, VSiN, 21 Jan. 2019, www.vsin.com/legal-super-bowl-betting-could-double-to-more-than-300-million-with-additional-states-on-board-according-to-vsin-projections/. PREVIOUS POST ← Tax Season is Upon Us: Can Gambling Losses Be Deducted?